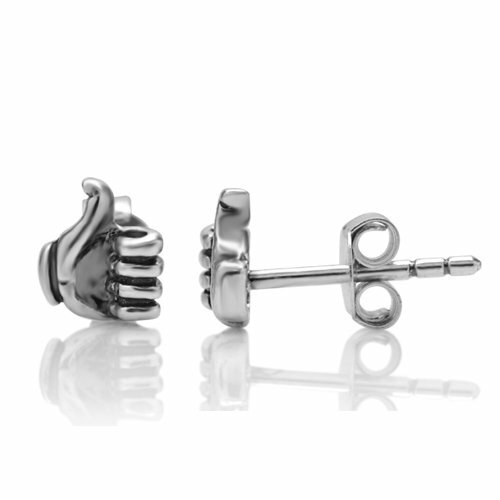 These adorable little thumb up sterling silver earrings would be a wonderful addition to any wardrobe. The included black velvet pouch makes it the perfect gift for someone special. Made from high quality .925 sterling silver.